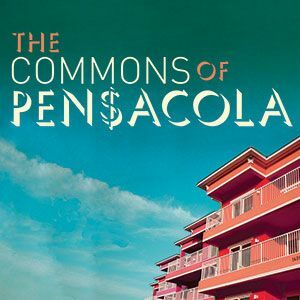 Pensacola State College invites area actors to audition for the comedy, “The Commons of Pensacola,” at 7 p.m. Monday and Tuesday, April 4 and 5 at the Ashmore Fine Arts Auditorium, Building 8, on the Pensacola campus. After her husband’s Wall Street scam becomes headlines, Judith is forced to trade her luxurious New York life for a small condo in Pensacola. Loosely based on the family of imprisoned con man Bernie Madoff, this is a sharp, funny play about trying to love your family even when you hate what they’ve done. Auditions consist of readings from the script to fill roles for men and women. The production runs May 19 through 22. Directing the play is PSC Theatre Director Rodney Whatley. Associate director is Laura Sebastian, a member of Actor’s Equity Association who is an adjunct instructor in the PSC Performing Arts Department.